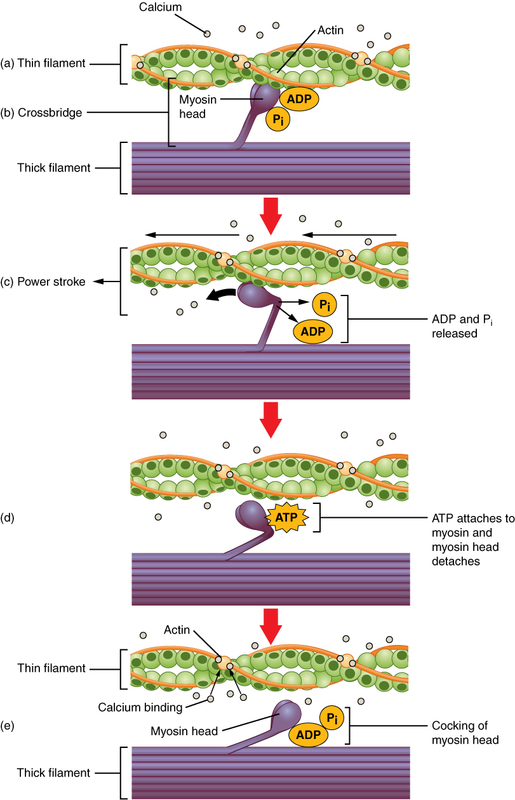 The neuromuscular junction (NMJ) is the point at which the motor neuron from the peripheral nervous system innervates the fiber Each fiber is connected to one branch of a motor neuron axon[ref]An axon is the output arm of a neuron. This will be discussed in some detail in the neuroscience chapter.[/ref]. 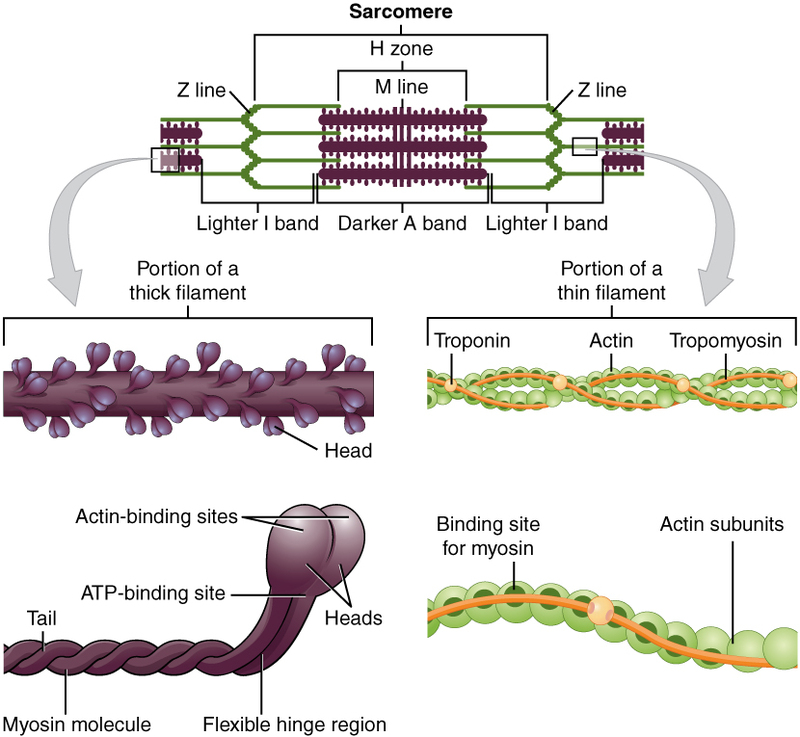 If more than one fiber is connected to a neuron, the set of fibers for that neuron constitutes a motor unit. 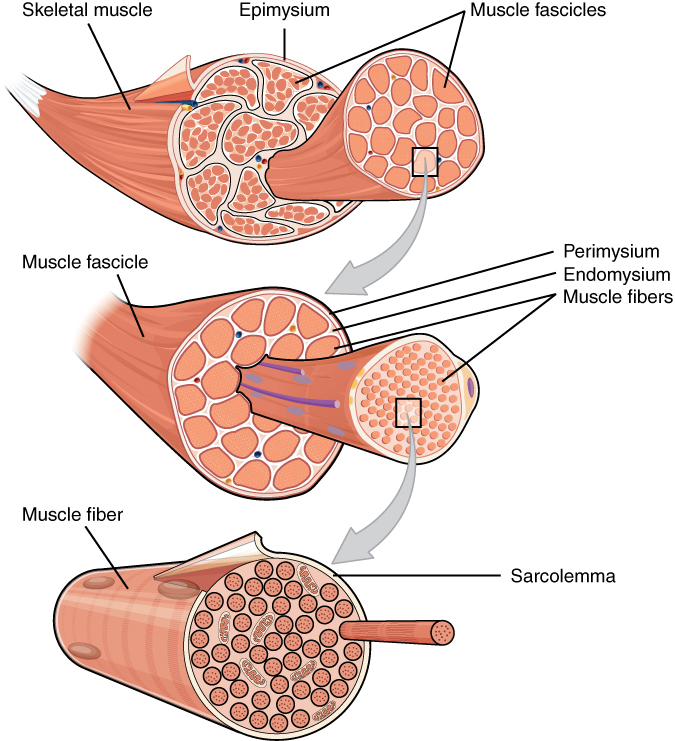 This allows for precise innervation of muscle fibers: the smaller the motor unit, the more precise the control. 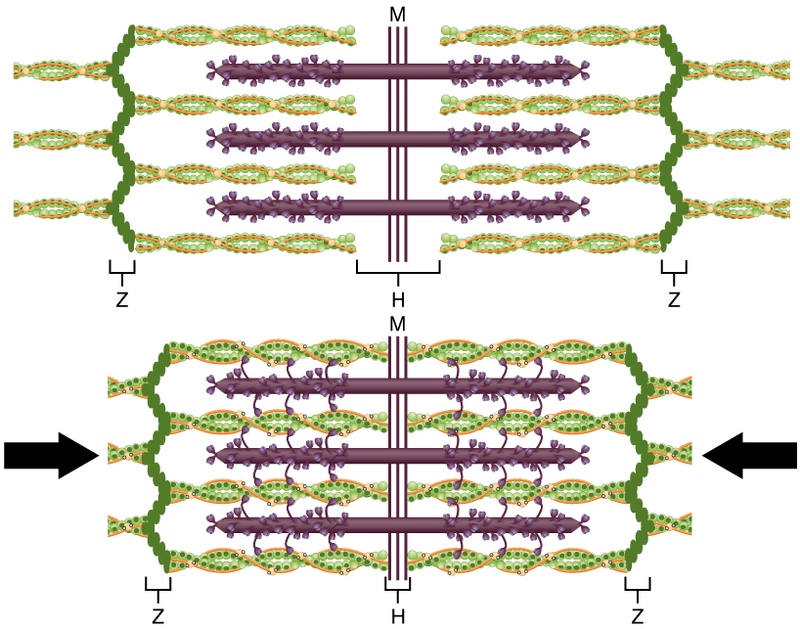 In the thousands of muscle fibers which move our eyeballs, a motor unit is made up of only about six fibers, making for great precision of movement. 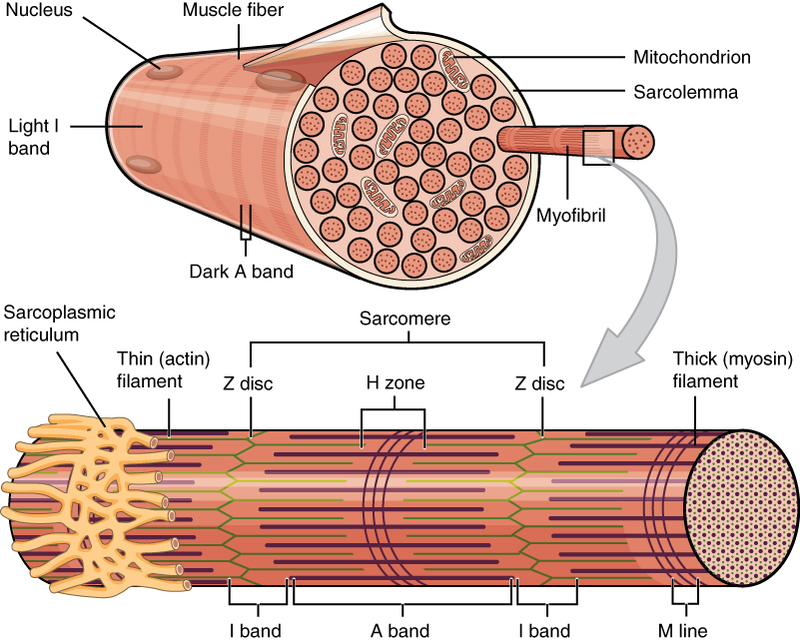 In contrast, in our back or thigh muscles, a motor unit may include thousands of muscle fibers. 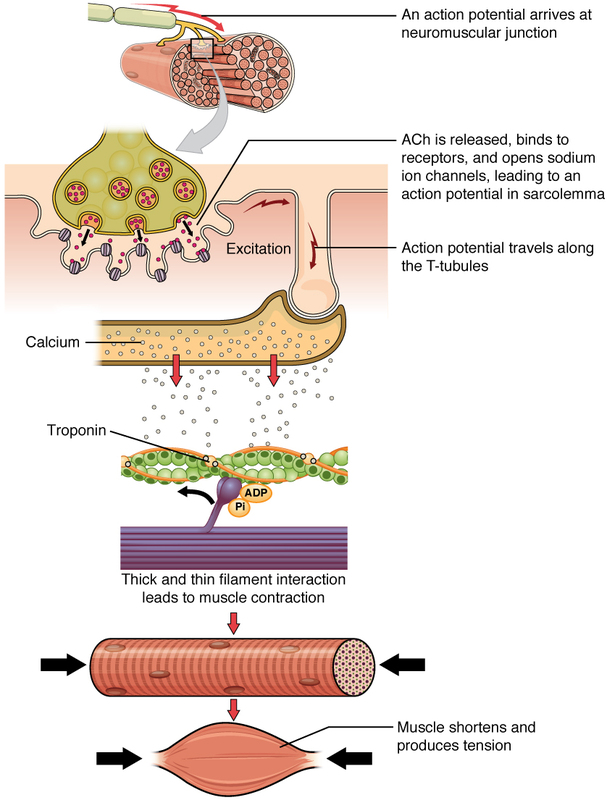 Muscle contraction occurs through a sliding- filament scheme similar to the one in skeletal muscles. But cardiac muscles are autorhythmic: Their contractions are controlled by pacemaker cells within the heart itself, although the ANS[ref]The autonomic nervous system, remember? [/ref] may signal the heart to speed up or slow down. The pacemaker cells cause a group of cells, called a functional syncytium, to auto-excite and create an action potential. This subject will be covered in the next chapter.